In a new paper published in Nature, researchers review the rapid progress in machine learning for the chemical sciences. Almost every technological advance in human history is accompanied by the discovery or development of new materials, from the blending of copper and tin to form bronze to the fabrication of high-quality silicon microchips that power digital technology. Designing materials for a specific demand is a mind-boggling task; a random mix-and-match of atomic building blocks could yield any one of an infinite number of possible compounds. Historically, the discovery of materials has involved a combination of chance, intuition, and trial and error - but this could all be set to change thanks to artificial intelligence. 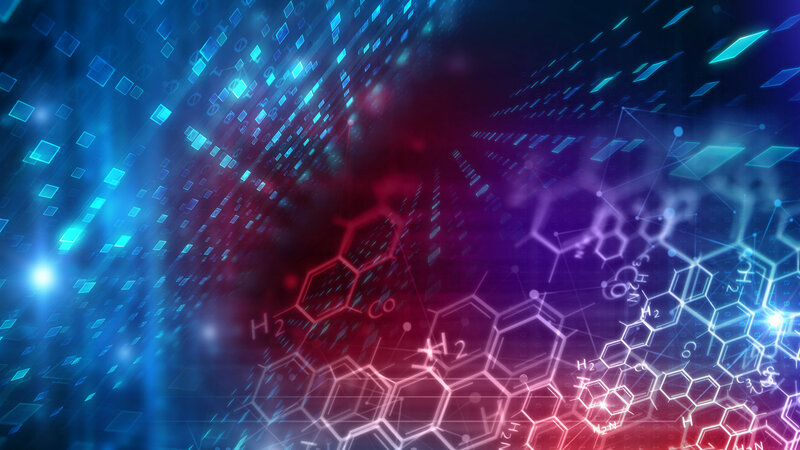 An international team of scientists from the UK and the USA, including PhD student Daniel Davies from the Centre for Sustainable Chemical Technologies and Department of Chemistry, published a review on the growing potential of machine learning for chemical design. Dr Keith Butler from ISIS Neutron and Muon Source, lead author of the review, said: “In traditional computational approaches, the computer is little more than a calculator, employing a hard-coded algorithm provided by a human expert. By contrast, the performance of machine learning techniques improves by seeing more and more real examples." “This is particularly exciting in the context of a facility like ISIS where we produce vast quantities of data, we are sitting on a data goldmine and now we are beginning to be able to leverage that," added Dr Butler.